The book covers philosophy from the start of civilisation to modern times - with some thematic discussions at the end. It is largely focused on western ideas, although there were passing references to eastern thought, particularly early on. So a really good overall introduction, best supplemented with supporting reading. It tackles some difficult concepts and does, at times, require work from the listener (ie. full concentration and time to digest ideas): I repeated some parts 2 or 3 times to get the full meaning. Overall very stimulating and largely enjoyable. What about Professor Daniel N. Robinson’s performance did you like? The American lecturer had a pleasant and warm tone, clearly and naturally spoken, with a few endearing tics such as saying "do you see?" at the end of some particularly complex example or explanation - or to emphasise a point. As the lectures developed it was interesting to build a picture of his personal perspectives - on some challenging issues, which is not to say that arguments were not presented in the round. 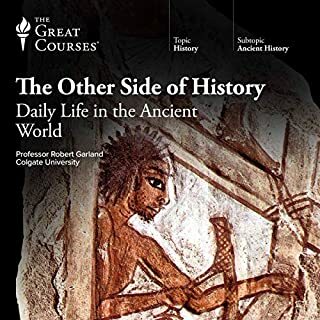 These lectures were stimulating and had the impact of returning me to other books to further develop my understanding. There was a lot crammed in - most of the major figures of philosophy are touched on. Also a focus on some ideas not normally treated as "philosophical" eg. USA constitution and Freud. An excellent initial overview. Fabulous romp through history and it's formative ideas. The reader is interesting to listen to, has a great grasp of the subject and witty to boot. 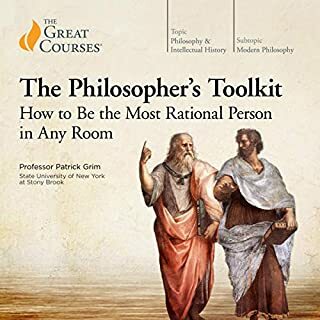 This is an intelligent and accessible summary of philosophy which I will listen to again and again . Narrated well. 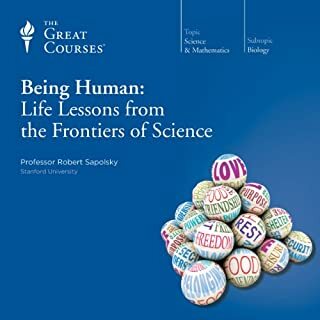 Would like to have a summary of each lecture for quick reference. Recommended reading/ listening and a worthy foundation stone for any life; a wise investment of time. 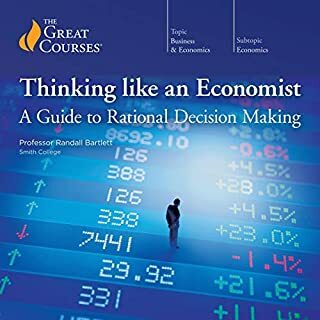 Many of the great ideas are covered in this book. But you will need to explore each topic separately for more insight. 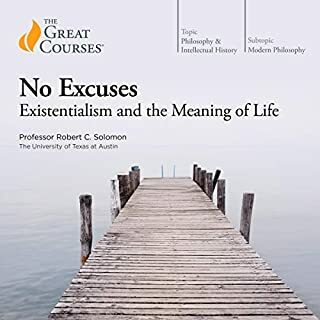 Dr. Robinson is a remarkable lecturer, a brilliant storyteller, and a skilled logician. It's taken me a month to traverse all 60 lectures, but it was well worth the effort in my estimation. 30 days to consume a lifetime of wisdom is a good bargain. More importantly, it's great to know that at least one man cares enough about The West to make sure we all remember what makes it worth caring about. It always turns my stomach when academics take advantage of knowledge to disseminate blatantly biased propaganda. Here we have religion (of the Christian brand) and Monarchical ideology in a smooth-talking name-dropping somewhat arrogant teacher of philosophy. 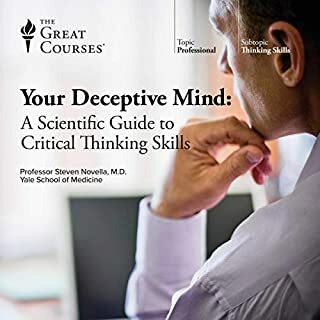 The other negative reviews give specific details of the same things that shocked me when I listened to this course. Fortunately I got fed up half-way, before reaching the outrageous and dogmatic last class (a pitch for God). I thoroughly enjoyed this well-presented and highly thought-provoking lecture series. I am very new to the subject of philosophy and found this course to be an excellent introduction. The lecturer's tone of voice was soothing and appropriately pitched to the lay person without ever soundinding condescending. A great learning experience and highly recommended indeed! I found it really hard to follow and also to tell whose opinion was being presented. Also, almost everything stated is flawed but with no mention of this, so hard to understand what point is being made. However, I did get used to this style by the time I had listened to about half the lectures, and found them interesting. 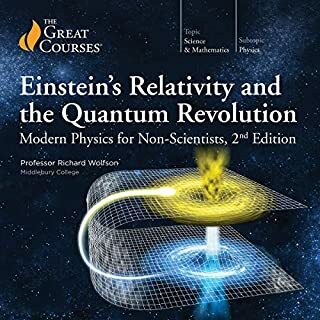 I would like to read a third version that includes the relatively new application of algorithms based on neural networks. Are these algorithms a form of life? Are the suggestions created by those algorithms the new viruses of the online world? This is one of the hardest reviews I have written. 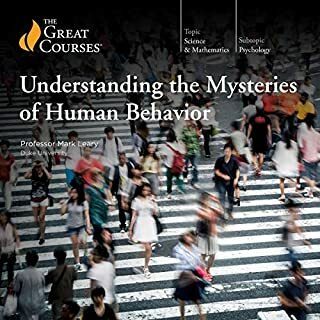 I have struggled with deciding how to judge this course. There are aspects that I really enjoyed. The professor is clearly brilliant and knows the material very well. 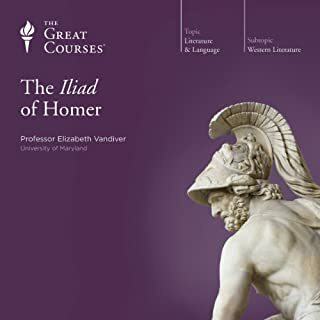 If anything, the professor's brilliance and knowledge of the material may be too good because many, but not all, of the lessons are taught at higher than a beginner's level. I took this course to fill a gap in my education. During college, Introduction to Philosophy was an elective course that I never managed to work into my schedule. 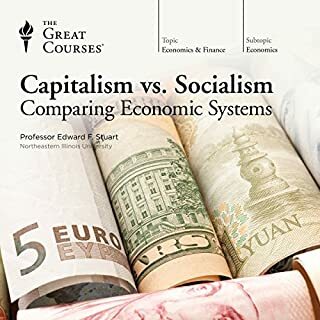 I have enjoyed using the Great Courses to fill in gaps in my education by taking the classes that I simply did not get around to in college. So, I was hoping for Philosophy 101. This course, though, was more like Philosophy 201 or 301. Throughout, the professor used terminology that he did not adequately define or assumed the listener already understood. Despite the professor being highly knowledgeable and a quality presenter, his failure to explain terminology made following portions of the course very difficult. My opinion is not completely negative, and I certainly learned some things from the course. 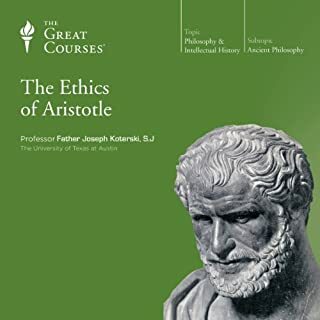 I particularly enjoyed the last ten lessons where he summarized different philosophical approaches to topical areas such as medical ethics, legal theory, justifications for war, aesthetic judgments and the existence of God. It will not take long for the listener to realize that Professor Robinson is one smart cookie. 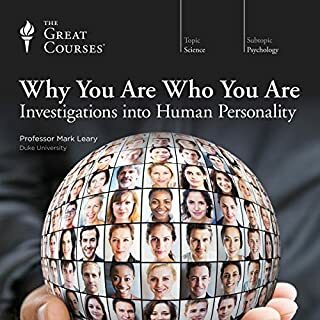 I worked it out less than two minutes in as the narrator reeled off his accomplishments: Ph.D in Neuropsychology, positions at prestigious universities, author of seventeen(!) books- even by the standards of Great Courses teachers, Robinson is in a class above. This man will make you THINK. All of these lectures are packed with content. Now, you don't need a grounding in philosophy before going in, but you do need to give your undivided attention. When I listened to this while walking, commuting or doing chores, I'd often find my mind slipping away only to jump back after he's moved on. When I come back to these lectures, I'll be bringing a pen and a notebook. "Now, just as for Protagoras, one, two, three and four are not mere numbers. 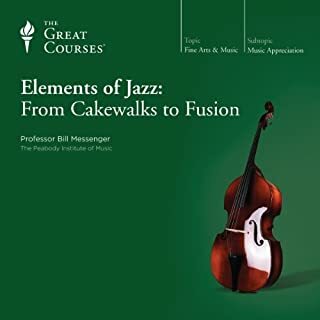 Neither can it be a coincidence that the harmonic structure of music should have, as it's reliable effect on our auditory system, that is, that we should hear as harmonious what in fact is governed by the mathematical laws of harmony. Why is it that the perfect fifth sounds the way it does?" "...Let me stay with materialism for a moment, it is useful to point out that defenses of it often rely on evidence gathered by methods that presuppose the validity of the claim. Namely, methods suited to identify and quantify matter, or material things. There tends to be a certain circularity, even a vicious circularity, between the ontological position we take and the methods that we employ to vindicate, or confirm, or as we like to say, objectively test it. This will be apparent in more than one major theory considered in subsequent lectures..."
"...It is a credit to Socrates' lasting genius that he understands the interconnectedness of these questions, that the problem of knowledge, the problem of conduct, and the problem of governance are various phases of the same kind of problem, and that problem is how we come to know ourselves, and realize our humanity in the course of a lifetime..."
"...and I'm going to pause here to make clear just what it means to be a radical empiricist, and to be the radical William James, for it is this that gives power and consistency to the entire range of James' thought. Now, the usual adoption of, or concession to, empiricistic philosophies is a hedged one. The apologist is likely to say something along these lines, 'Well of course, a lot of the things we know we know as the result of experience, there are some things we can't know by way of experience, this being sort of abstract Leibnizian, Cartesian sorts of things, and anyway the senses really can deceive us from time to time, but by and large I'm certainly willing to use my senses in most of the ordinary business of life." Now this, I say, is a position that is as boring as it is probably faultless. It most assuredly is not the position of a radical empiricist..."
"...In just about every area of expertise, there are achievements that simply cannot be defined in words, but only exhibited in the performance itself. So from an ontological point of view, the question must arise whether our conceptions of reality are also shaped by intuitive and tacit modes of knowing, with skepticism arising as a result of the inability to articulate or justify the grounds..."
"...Now I want to make point that I think is at once controversial and commonsensical, and those two can go hand-in-hand. The resources of the law, in matters of this kind, very often seem far more developed, far more supple, more protean, more capable of finding controlling maxims on the basis of the thick record of juridical reasoning than does the book of moral philosophy itself..."
As the poet says, "A little learning is a dangerous thing/ Drink deep, or taste not the Pierian spring." If you're interested, here's a nice deep well for you. 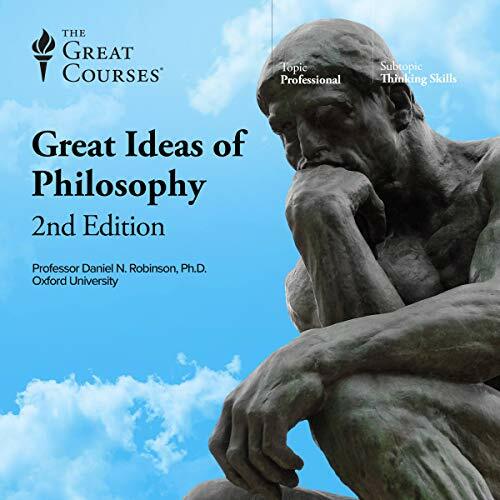 If you could sum up The Great Ideas of Philosophy, 2nd Edition in three words, what would they be? 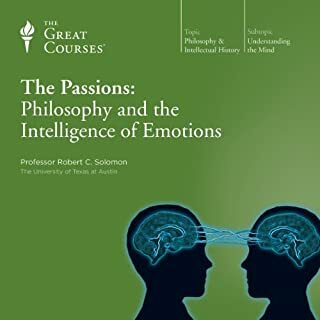 Philosophy is the greatest subject matter to which humans turn their attention, and Professor Robinson pinpoints knowledge, conduct and governance as the three great themes of human history and experience, then explores these in a way that draws the listener in. This man knows and loves his subject. He is erudite without being pompous, and very easy to listen to. His tone is discursive, with the light and shade generally found in conversation but not in reading -- he doesn't give the impression that he is reading out his lecture notes. yes - but good luck! 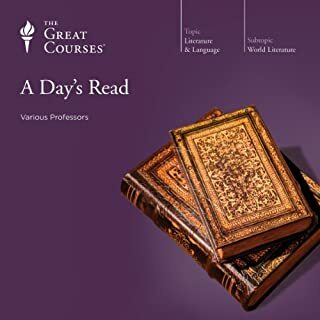 60 lectures. Extraordinary value. 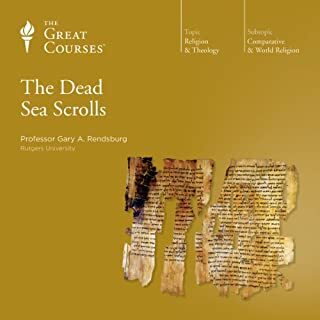 Get this one if it's the only course you buy. 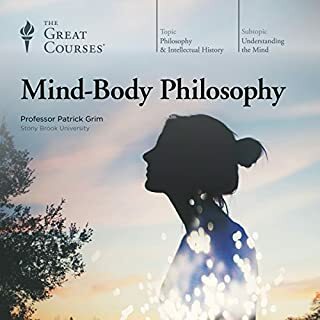 I bought this course as an introduction to philosophy in general, and that is what I'm basing my review on. The professor doesn't try very hard to integrate the thoughts of each lecture into a bigger conceptual scheme. I felt very isolated from one lecture to the next. The lectures are good enough in content, and would be great if you just wanted to turn on a lecture here or there to hear some random topic in philosophy talked about by an educated person. But as an intro to philosophy it falls short. 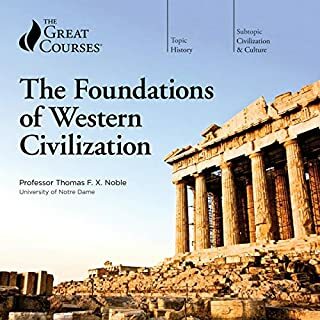 If you're looking for a conceptual scheme dealing with the progression of philosophy and giving a more comprehensive intro, I highly recommend the "Great Minds in the Western Intellectual Tradition" from the Great Courses.